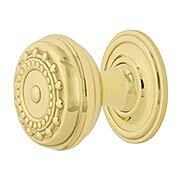 Featuring rugged, hand-hammered details, our Pasadena Cabinet Knob (1 3/8-Inch Diameter) with Classic Rosette is classic Arts and Crafts design. Available in an array of popular finish options, this vintage reproduction is the perfect enhancement to any Craftsman-style home or bungalow. Made of substantial forged-brass. Featuring rugged, hand-hammered details, our Pasadena Cabinet Knob (1 3/8-Inch Diameter) is classic Arts and Crafts design. Available in an array of popular finish options, this vintage reproduction is the perfect enhancement to any Craftsman-style home or bungalow. Made of substantial forged-brass. 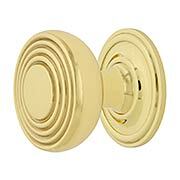 Sleek and understated, the fashionable Streamline Deco Cabinet Knob (1 3/8-Inch Diameter) is a tasteful choice for your Deco or Mid-Century home. 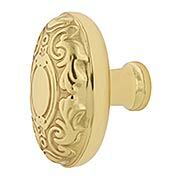 Finely crafted from forged brass, this handsome accent will give you a lifetime of beauty and enjoyment. Choose from and array of popular finish options. 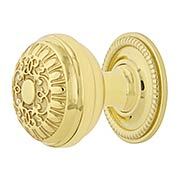 Accent every room in your house with this wonderful Renaissance-Revival Egg and Dart Cabinet Knob (1 3/8-Inch Diameter) with Classic Rosette. 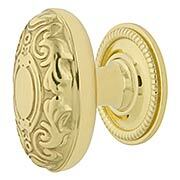 Inspired by P & F Corbin's elegant Mantua pattern of 1905, it is finely crafted from solid forged brass. Choose from an array of popular finish options. Accent every room in your house with this wonderful Renaissance Revival Egg and Dart Cabinet Knob (1 3/8-Inch Diameter). Inspired by P & F Corbin's elegant Mantua pattern of 1905, it is finely crafted from solid forged brass. Choose from an array of popular finish options. As pleasing to the hand as the eye, our simple and shapely oval Homestead Cabinet Knob (1 1/8 x 1 3/4-inch) with Classic Rosette is the perfect complement to traditional interiors. Finely crafted from solid, forged brass, it comes in an array of popular finish options. As pleasing to the hand as the eye, our simple and shapely oval Homestead Cabinet Knob (1 1/8 x 1 3/4-inch) with Rope Rosette is the perfect complement to traditional interiors. 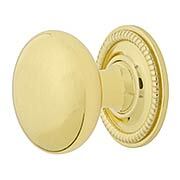 Finely crafted from solid, forged brass, it comes in an array of popular finish options. 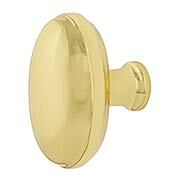 Homestead Cabinet Knob - 1 1/8" x 1 3/4"
As pleasing to the hand as the eye, our simple and shapely oval Homestead Cabinet Knob (1 1/8 x 1 3/4-inch) is the perfect complement to traditional interiors. 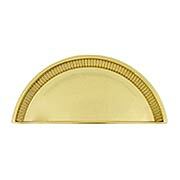 Finely crafted from solid, forged brass, it comes in an array of popular finish options. P and F Corbin's circa 1905 Como Pattern inspired this lovely Meadows Cabinet Knob (1 3/8-Inch Diameter) with Rope Rosette. The classical-revival design, with its beaded borders and graceful foliage, will complement your every decor. Our modern recreation is made of forged brass, designed for lasting quality and performance. Choose from an array of popular finish options. Our Mission Cabinet Knob (1 3/8-Inch Diameter) with Classic Rosette is an ideal addition to any Craftsman home or bungalow. Harkening back to the Spanish-Colonial period of the Western frontier, each knob features inlaid steps nestled within its geometric shape. 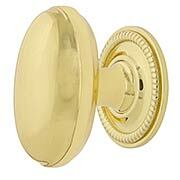 Made of forged brass, it comes in an array of popular finish options. 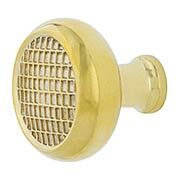 Our Mission Cabinet Knob (1 3/8-Inch Diameter) is an ideal addition to any Craftsman home or bungalow. Harkening back to the Spanish-Colonial period of the Western frontier, each knob features inlaid steps nestled within its geometric shape. 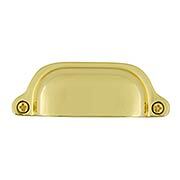 Made of forged brass, it comes in an array of popular finish options. Our Classic Round Cabinet Knob (1 3/8-Inch Diameter) with Matching Rosette is as versatile as it is timeless. 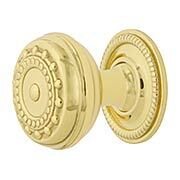 Working equally well with traditional or modern styles, it is made of forged brass, and comes in an array of popular finish options. 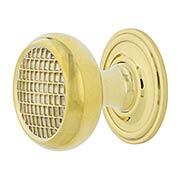 Our Classic Round Cabinet Knob (1 3/8-Inch Diameter) with Rope Rosette is as versatile as it is timeless. 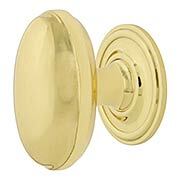 Working equally well with traditional or modern styles, it is made of forged brass, and comes in an array of popular finish options. 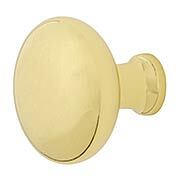 Our Classic Round Cabinet Knob (1 3/8-inch Diameter) is as versatile as it is timeless. 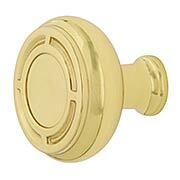 Working equally well with traditional or modern styles, it is made of forged brass, and comes in an array of popular finish options. 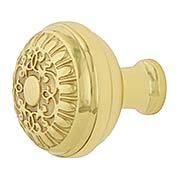 Our lovely Decorative Cabinet Knob (1 1/8 x 1 3/4-Inch) with Classic Rosette features a circa 1910 design by Yale and Town. The ornate Renaissance pattern, known as Largo, is reproduced in forged brass, and comes in an array of popular finish options. Decorative Oval Cabinet Knob - 1 1/8" x 1 3/4"
Our lovely Decorative Cabinet Knob (1 1/8 x 1 3/4-Inch) features a circa 1910 design by Yale and Town. The ornate Renaissance pattern, known as Largo, is reproduced in forged brass, and comes in an array of popular finish options. P. & F. Corbin pictured this handsome neo-classical design in their 1905 door hardware catalog. Our Egg and Dart Cup Pull (3-Inch Center-to-Center) is forged from solid brass, giving you a lifetime of beauty and performance. Choose from an array of popular finish options. 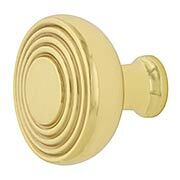 Our clean and simple Traditional Cup Pull (3 1/2-Inch Center-to-Center) has a universal appeal. 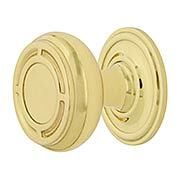 Paired with our brass turn latches, it at at home in Craftsman, Colonial or even modern style interiors. Made of thick, forged brass with a smooth rolled edge, it is comfortable and easy to grip. Choose from an array of popular finish options. A traditional border makes our Rope Design Cup Pull (3-Inch Center-to-Center) a favorite for Colonial-Revival interiors. Finely crafted from forged brass, it is as durable as it is attractive. Choose from an array of popular finish options. 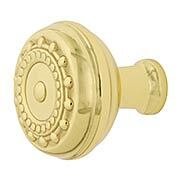 Our lovely Decorative Cup Pull (3-Inch Center-to-Center) features a circa 1910 design by Yale and Town. The ornate Renaissance pattern, known as Largo, is reproduced in forged brass, and comes in an array of popular finish options. 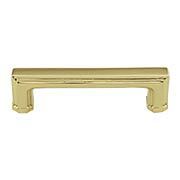 The Carre Cabinet Pull (3-Inch Center-to-Center) is a dynamic blend of Art Deco and modern influences. Constructed of solid forged brass, this clean, parallel design is exhibited in refined detail in an array of finish options.